Today is Tuesday which means it’s a day I scheduled for my walk/jog day. I only have three days scheduled a week. So you think it would be a piece of cake. I felt defeated before I even started. It was a pure struggle just getting motivated to just do my warm up walk. Thankfully, my youngest went with me. I decided to walk with her if I did nothing else. We walked about a mile and I told her I was going to try to jog at least one mile. I had a great cheerleader and because of her I jogged two miles straight. Might not be able to do it every time but I did it today. My time was just under 22:30! My eating has been normal I guess you could say. I made scrambled eggs with no milk or butter. I used one egg and 4 egg whites. I added veggies and two tablespoons of shredded cheddar. It was okay. I really missed the country crock light. It would have been better with it for sure. It did keep me full for a long time. I made spaghetti for dinner with lean beef. 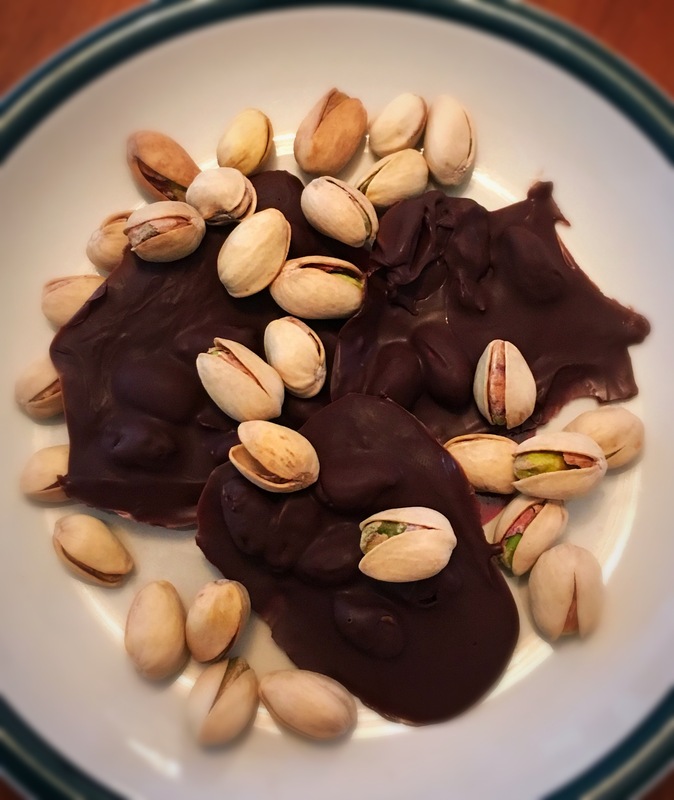 I melted some dark chocolate with coconut oil and added some pistachios for a snack. I only made four. I ate two and let my youngest two each have one after school. Those were great. This evening after my jog I had a a four pack of Oreo thins with unsweetened cashew milk. Still good on my calories for the day. My steps are in with 80 active minutes!